No I don’t mean we’re not doing Thanksgiving this year. We are. Our daughter and son-in-law are hosting it at their house, and I’m sure our granddaughter will “help” in her own special 18 month old way. We’ll have basically the same menu as we’ve had for the last 10-15 years…some traditions do continue. But the cooks will be different. The setting will be different. And the table will be missing a lot of people who are no longer around or in our lives. That’s what I’m missing. And this year for some reason I’m particularly missing it. I miss the days of packing the car and driving a little over two hours to my mom’s house the night before, unpacking the car, and then starting on the food prep while my husband and daughter watched movies and played with the dog. The next morning we’d get up early and start making pumpkin pies, cinnamon buns (with our daughter helping when she got older), putting the turkey in the oven, and then setting the table for a huge family get together, using My mom’s best china and silver. It wasn’t unusual to have ten people or more. We had a large extended family then, and Thanksgiving in particular was a special time! I have wonderful memories of the holidays from my high school years celebrating with so many aunts and uncles. And later years as our family members dwindled and changed, we still had our special holiday celebrations, just with fewer participants. That’s all changed now, though. My mom is gone. I don’t see my aunt and her family since they live several hours away. So it’s now my husband and me, and our daughter and son in law and our granddaughter. And we’ll have a wonderful day. That I’m sure of. But there will be a lot that I’ll miss. I miss having my mom with us. We never missed a Thanksgiving together. It was just a given that we’d all be together. There’s always an empty spot at the table now, even though I know she’s smiling down on us from heaven, adoring her family from afar, and especially enjoying watching her great-granddaughter Rachel as she grows. I miss my uncles who were always such a fun part of Thanksgiving. Uncle Jay who always seemed to be ready for seconds even before most of us had finished filling our plates. How he ate so fast we never could figure out, but he always wore a little of it on his tie, and always seemed to spill just a bit on the floor for the dog who happened to be under the table waiting. My uncle Fowler who always teased us all about something, who was always ready with a joke, and who expertly carved the turkey every year (I actually think he taught my husband a thing of two about it), wearing my aunt’s apron, and happily sampling as he went, just to be sure it was cooked properly! My Aunt Mary made wonderful pies, and of course we had pumpkin, but she also treated us once in a while to her special mince pie which was amazing! And some years, for a really special treat, and usually at the request of my Uncle Fowler, she’d bring her “famous” angel pie, with its meringue crust, creamy lemony filling, and topped with real whipped cream and shaved bitter chocolate on top. I have her recipe, and so does the rest of the family, but none of us have ever been able to make it like she did! And we’ve certainly tried. My Aunt Pauline would always bring the scalloped oysters, and she’d carefully put the dish together, layering the oysters just right, and the waiting to pour the milk in just before it was time to bake them. She always complained that she couldn’t get the milk amount right, but they were always delicious. Even if you didn’t particularly like oysters! And then there were my mother’s cinnamon buns. Oh my, were they the hit of every meal! And not just on Thanksgiving! Sometimes she made two pans of them, because we all wanted leftovers, and they were so good you couldn’t stop at just one! Uncle Jay usually had at least three, because he had to save room for dessert! We always had appetizers before, dinner. My aunt’s homemade pepper jelly over softened cream cheese (yummy!) which was later joined by her “fake” crab dip (chopped artichoke hearts and Parmesan cheese). One year she told one of our guests it was crab dip, and that guest actually pulled out what she thought was a small piece of crab shell! We never did tell her what it really was, but oh did we enjoy that laugh! But now all I have are those memories tucked in my heart, that I pull out every year at this time, and remember all the fun and wonderful times we had together. I can’t recreate them, but I can make new ones, with our growing family here, as well as friends we’ve come to call our family as well. Yes, I’m missing Thanksgiving, but I’m missing what once was. And appreciating what is now, because the past is the past, and the future is now. We’re making new memories that our children and grandchildren will one day look back on and nostalgically remember like I just did. 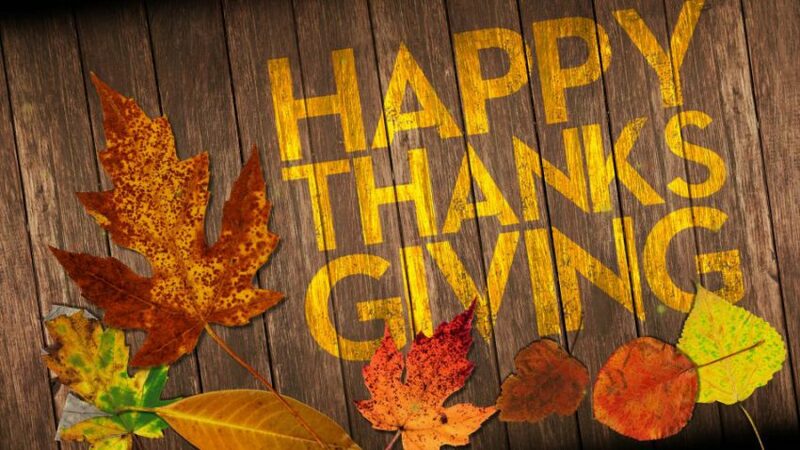 To everyone reading this, may you have a blessed and happy Thanksgiving. May your childhood holiday memories be a comfort to you if your family is no longer around. And may you all enjoy making new memories as you travel through this newest season of your life. Be thankful. And be blessed. I hope you had a wonderful “new” Thanksgiving. I enjoyed reading your memories of Thanksgivings past. Like you, I have many fond memories of family that’s no longer with us.